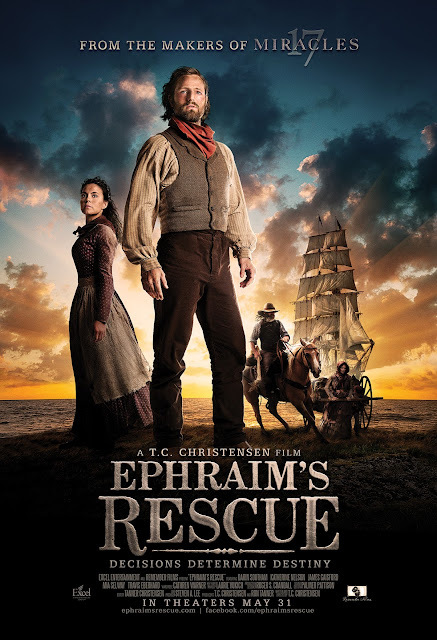 I am excited to see this new film called Ephraim's Rescue. Looks cool in the poster, right? I know you are dying to see it. 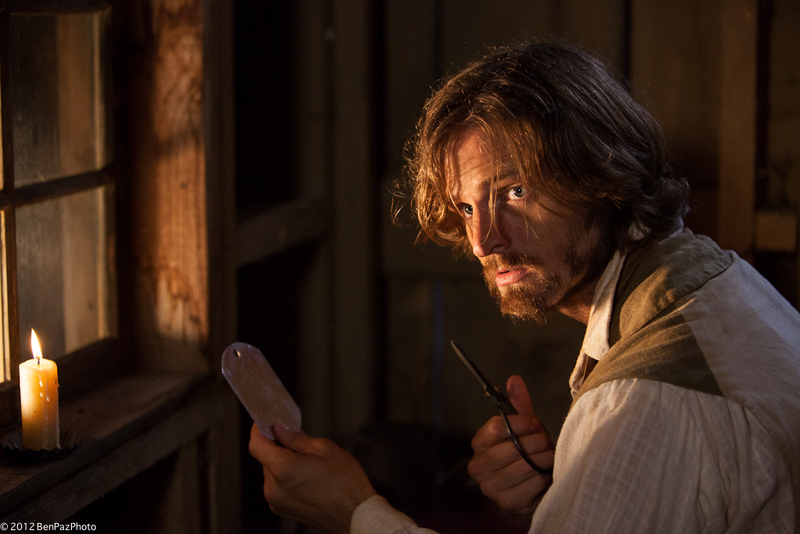 This is based off of true stories of real pioneers. I recently was able to meet T.C. Christensen (Producer/Writer/Director) and Darin Southam the star of the movie. They were great and really funny. T.C. Christensen clogged for us bloggers. To prove it I took a picture, I even made sure I was in one of the pictures so you would believe me!! Here's a little more about each one. 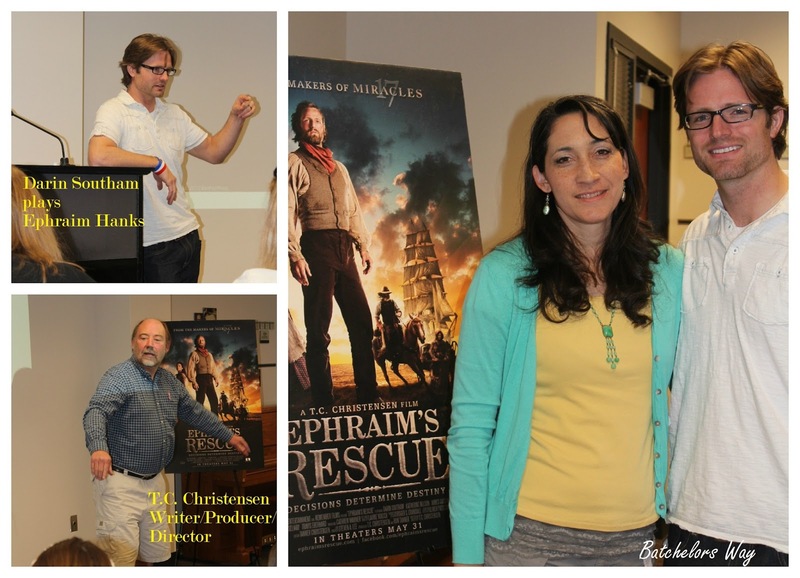 17 Miracles (Excel Entertainment); Emma Smith: My Story (Morning Dew); Joseph Smith: Prophet of the Restoration (LDS Church); Testaments (LDS Church); The Work & the Glory (Manchester Pictures); Forever Strong (Go Films); Sea Monsters (National Geographic); Roving Mars (Disney); The Buttercreme Gang(Family Films); Rigoletto(Family Films); The Mouths of Babes (VTA); Finding Faith in Christ (LDS Church);Treasure in Heaven: The John Tanner Story (VTA); Only a Stonecutter (VTA). If you live close to Salt Lake, on May 27-28th from 6:00-9:00pm Ephraim's Rescue will sponsor Free 10-minute carriage rides. You can pick up your carriage outside the down town Deseret Book store. Sounds like too much fun!!! If you live in Utah I have free tickets for the movie to give away.